It is easy to get to the Cheshire Strawberry Festival and Craft Fair. It is located right on CT Route 10 in the heart of Cheshire. You can use the map below in order to get directions to the Festival. We look forward to seeing you there! 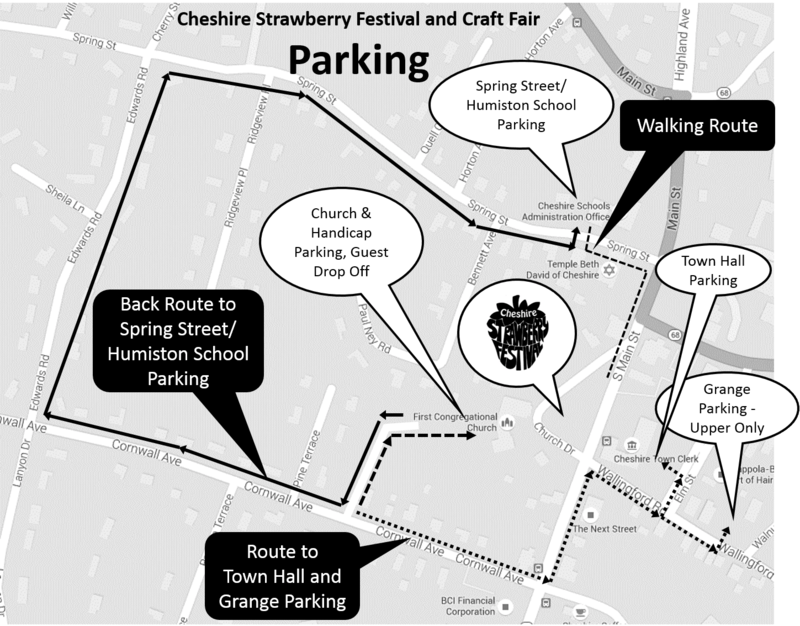 Below is a map of the area surrounding the Cheshire Strawberry Festival and Craft Fair. The location of the parking lots are identified for your use.